Whether you’re a Prophet of Doom or a Kopitiam Investment Guru, the different types of investors in Singapore have useful quirks. These types have an infinite number of Warren Buffet quotes memorised, and will respond to any situation with one of them. Their entire room is packed with books like A Random Walk Down Wall Street, or The Big Short. They subscribe to email responders from Investopedia (which they actually read), can explain each component of the Capital Asset Pricing Model, will argue for hours about the efficient market hypothesis, and think the discovery of Modern Portfolio Theory is equal in importance to the discovery of, say, fire. One of their main identifiers is constant resort to wall-speak. Any money-related issue they attempt to discuss with you will be re-worded to sound like they’re writing a Forbes article. For example: “I wonder if my mutual fund is worth the fees, I can’t tell because the market was nuts late last year” would be translated to “I can’t identify Alpha due to at least three standard deviation events in Q3 / Q4 2016”. Many of them hero-worship a group of financial experts known as Quants. If you don’t know what Quants are, consider yourself lucky. The average Quant can’t even tell you how much change is in his pocket without using at least seven graphs. Good For: Getting updates on financial news, because most of them read the Business Times. If you take the time to decipher what they’re saying, they can also explain many critical topics, such as the relevance of R-Squared or the difference between physical replication and synthetic Exchange Traded Funds. Bad For: Advice on anything which requires a quick decision. They can’t come to an easy conclusion on anything, and may even consider their constant hesitation a virtue. Just between you and us, we find that many of these types are more interested in theories than actual investing. 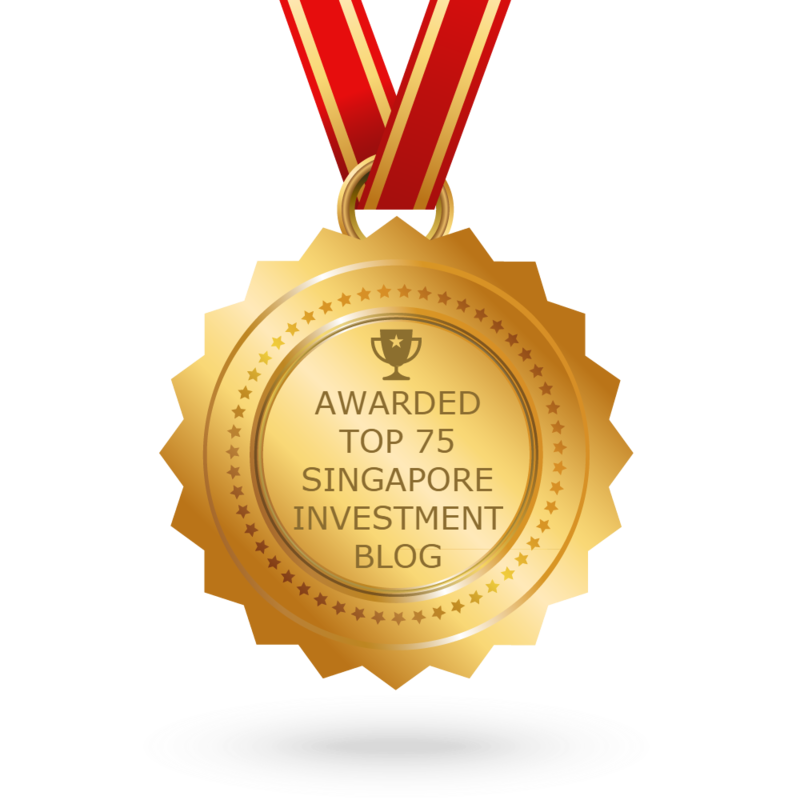 Many have spent thousands of dollars on books and courses, but haven’t set aside their first S$10 to invest. Their obsession with finding more and more information – much of it contradictory – makes them unsure where to even begin. Many of them have a bad case of information overload. These investors know they’re investing, because they have “a guy” who handles it for them. They don’t know what they’re investing in, they just know they are and don’t want to think about it. These investors loathe having to sit down and talk numbers. Every time they see an equation, they get a splitting migraine. Talking to them about retirement planning or emergency funds is like explaining astrophysics to your cat – there’s no interest and no chance. They hate “dealing with that money stuff”, and most won’t even know how much is in their CPF, or how much they pay for their mortgage. Good For: Selling financial products to, because most don’t know or care about commissions or management fees. Also, they are good for a free lunch – if their wealth manager invests their money into a company, and an Annual General Meeting is held, they will go just to ta-pau the buffet food. They will be in and out with the food in 15 minutes, whereas every other investor will be asking questions for hours. Bad For: Getting any kind of financial advice. Most of them buy financial products because a relative sold it to them, not because they actually know how to check the performance. These investors come in two flavours. The first is a hard working Singaporean trying to get a big break, often through stock trading. The other is a retiree or financially well-off, who don’t actually care too much about their job (it’s just for something to do), and make a healthy side-income in the markets. These types have a “street” education in finance. They learn things by putting their money in places where they really shouldn’t, and by identifying and imitating success stories. They know key concepts like value investing, or how to read a company’s fundamentals. But they can’t explain it using the actual terminology (e.g. they know what a P/E ratio is and how it works, but may not know that the letters P/E stand for “Price to Earnings”). Most tend to be traders rather than investors, and they often have a higher risk appetite. In extreme cases, they think SGX is just a more socially acceptable casino. Good For: Explaining to you the various indicators and ratios. Even if they don’t know the exact words, they can tell you what the ratios mean in a practical sense. Sometimes, that’s better than having the right (incomprehensible) terminology. Many have real experience in getting burnt, and they understand the emotional and psychological effects in a way that more academic types never will. A lecturer in Banking and Finance can explain risk appetite, but these investors know what it’s like to lose sleep when you just lost S$30,000 in one day. This type of investors love innovation and feel clever from doing things no one else has discovered yet. If finance were music, these are the people who listened to Foster the People before the Pumped Up Kicks song, or liked your favourite band before they were mainstream. Avant-garde investors talk about financial products that make financial professionals frown, and ask, “Since when has this been a thing?” These types were the first to jump on peer-to-peer lending platforms, like MoolahSense, when it first appeared. They’ll talk about group private insurance (a new trend where people band together to form an insurance pool, rather than go to an actual insurer), cryptocurrencies like Bitcoin, or investing in Iberian ham instead of gold. That’s right; they’re the hipsters of the financial world. (The also like to mock banks and traditional mutual funds or insurers, which they see as a bunch of overpaid dinosaurs.) Good For: Finding out new ways to invest, which are at least entertaining even if they’re not useful. Many also love to point out flaws in traditional investment products, so they’re good for an informed (if pessimistic) opinion. Bad for: This group of investors tend to like fads, which do happen in finance; at one point it was Bitcoin, at another it was classic car funds. Most of these investors are interested in products which are different, not necessarily better. They assets they once swore by might be forgotten by next year. These investors typically dismiss all financial products that are not tangible. If it’s not physical gold, or property, or something they can hold on to, then they don’t trust it. They especially hate fiat currencies (paper money), and believe this to be a giant scam run by governments. These investors are constantly predicting the economy – local or global – is going to crash. Which, since the market does so every few years, is actually a pretty easy prediction. Nonetheless, they will exaggerate the impact of the “coming” crash (All the money will become worthless and civilisation will collapse! We’ll have to eat our own kidneys for nutrition!) Whereas the Avant-Garde investor merely sneers at banks, The Prophets of Doom tend to see banks and financial institutions as manifestations of pure evil. Not all of them, but many. Good For: Detailed explanation on safe-haven assets, such as gold. 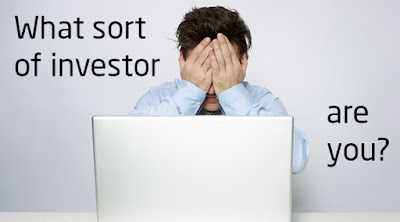 Many of these investors are also good at pointing out flaws in financial products. Run your endowment plan by them for a second opinion. Bad For: Your morale and long term plans. When they start preaching disaster, remember some have been predicting the end of the financial world for decades now (and it still hasn’t happened).